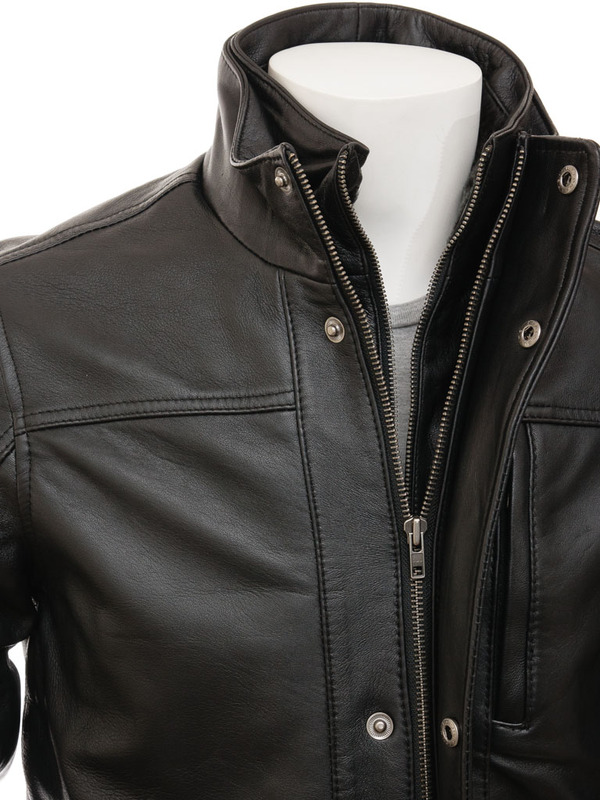 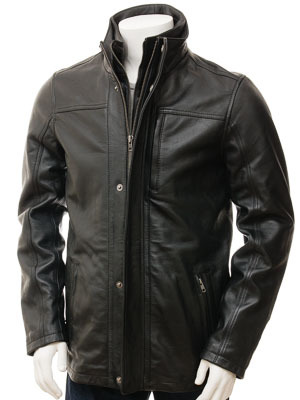 A warm, tough leather jacket with a detachable collar in black. 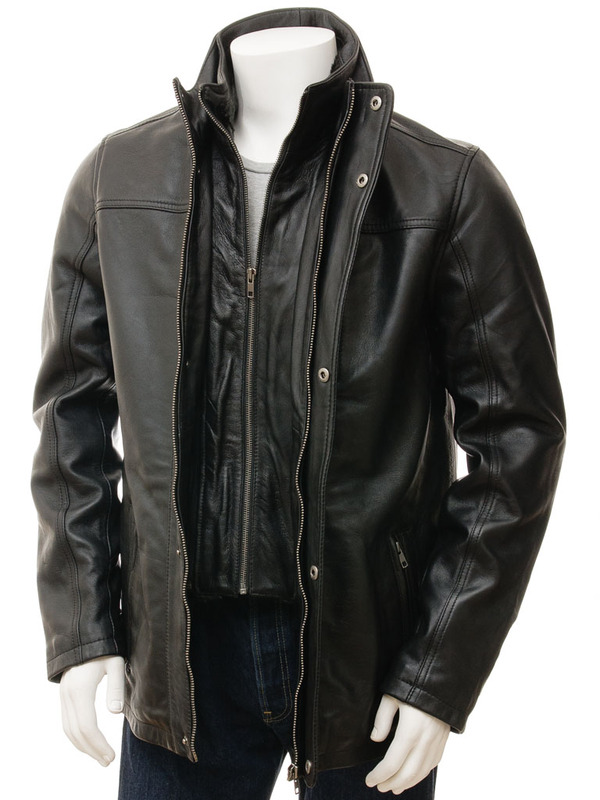 Ready for anything a typical British winter can throw at it this leather coat is made from an A-grade sheep nappa leather. 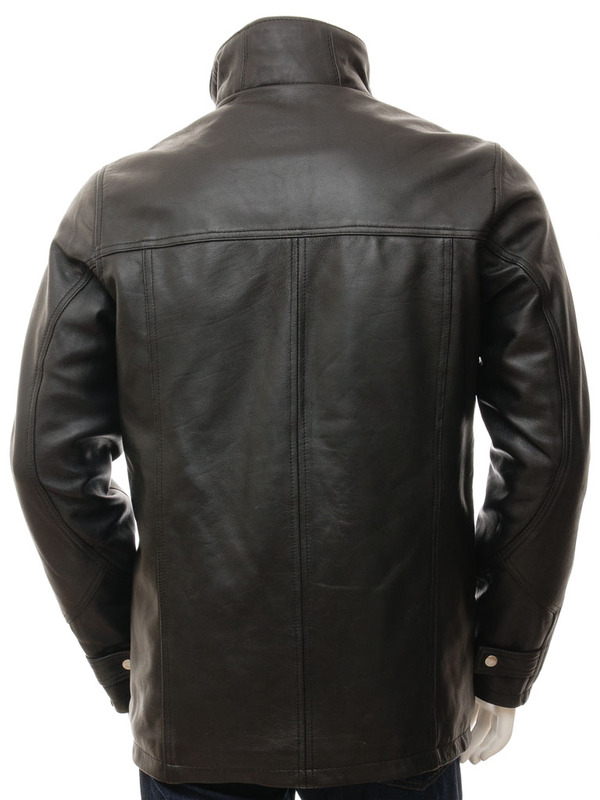 It's a durable but very soft skin which is very supple and suits longer length coats. 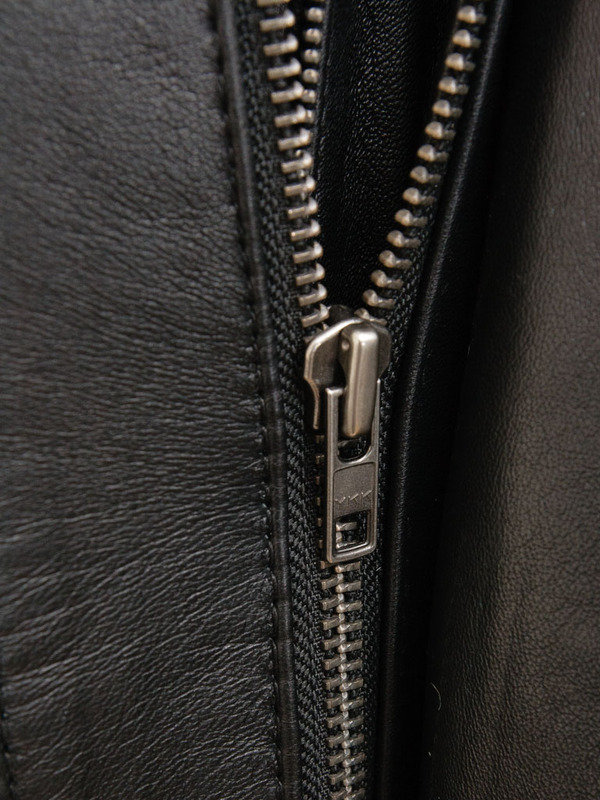 A sturdy YKK zip front is protected by a fly front with covered press studs. 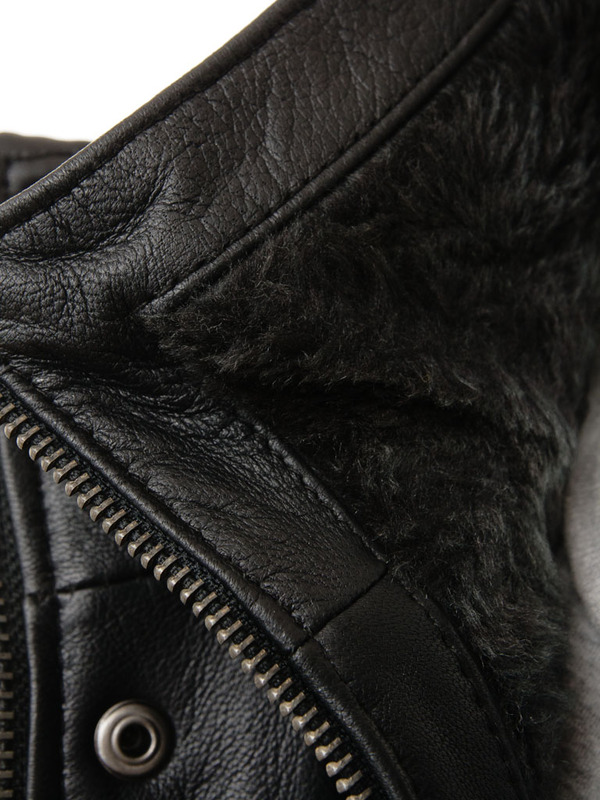 It extends up to a high funnel neck to protect from chill winter winds.